For the fifth year in a row, CJC Fellowship will take place during Art Basel in Hong Kong from March 24 to 31. Ten young journalists and critics from Hong Kong, Mainland China, Switzerland and the Philippines have been selected to join the intensive programme to attend art events, conduct interviews with art professionals and reviewing art shows. 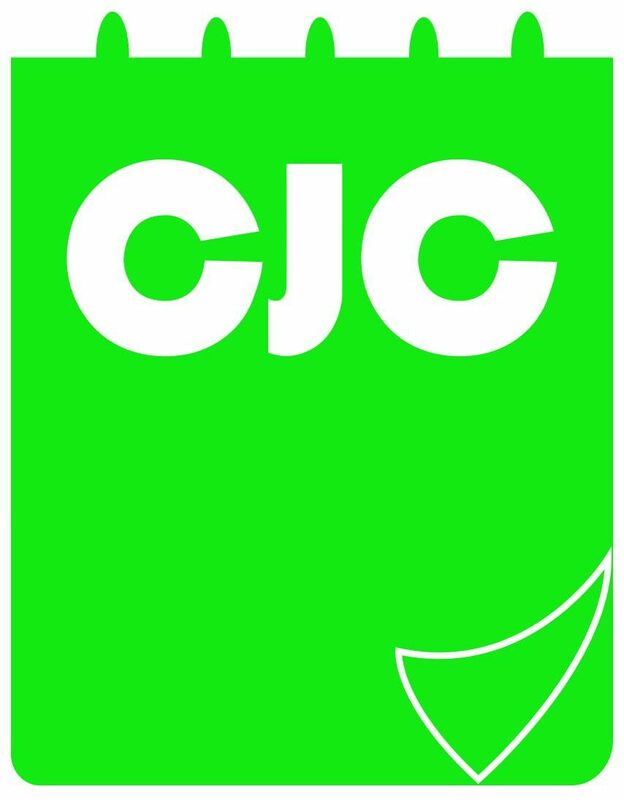 They will be producing stories for CJC’s print newspaper Culture Express as well as CJC’s digital outlets under the guidance of seasoned journalists. The CJC team will be based at the CJC Newsroom at HKCEC where Art Basel takes place. Adam Martin has over 13 years experience as a writer/editor in print and digital media. Currently a news editor at the Wall Street Journal, he has worked for the South China Morning Post, New York Magazine, The Atlantic, The Times, the Jakarta Globe and the San Francisco Examiner as a metro reporter, food and features writer, digital editor, copy editor and more. Esther Ng is a Hong Kong-based freelance lifestyle journalist and content marketing strategist with over 13 years experience in editorial, custom publishing and content creation. She has worked at the South China Morning Post, Prestige Hong Kong and Destination Macau, and now runs The Word Spot, a boutique copywriting and content marketing agency. Edwin Lee is a filmmaker, video producer and founder of bespoke video production company Fallout Media. He had started his news career at Asia Television (ATV) before pushing the new frontier of digital content for the SCMP and the Wall Street Journal. He currently contributes video works to BBC World News. Edwin is also the director of the M+ museum of visual culture video series. Joel Flynn is the editorial head of Reuters Broadcast Solutions Hong Kong operation and an anchor for Reuters’ ViuTV News. Over the last eight years, he has worked for all parts of Reuters broadcast operations across Europe, including as part of a Reuters’s award-winning financial television team, and joined their Asia operations in June of last year. He has worked for the BBC, Sky News, ITN, Al Jazeera and TRT World. His work has also been published in Reuters text file and the New York Times. His career highlights include reporting on the Turkish coup in Istanbul, the North Korean missile crisis in Japan and interviewing Arnold Schwarzenegger. Tinny Cheng is an arts and culture journalist and founder of The Culturist, a Chinese language online platform advocating for the promotion of arts and culture among the Chinese-speaking communities. She has over 11 years of experience covering arts and culture stories for the Hong Kong Economic Journal and Apple Daily, where she writes about artists and collectors in her popular column “Tasting Apple”. Previously, Cheng was a business reporter for seven years and has been practising Chinese ink painting for over 10 years. Follow The Culturist’s Facebook page here. Vivienne Chow is an award-winning journalist and critic specialising in arts, culture and cultural politics contributing to Quartz, Variety, BBC, The Interpreter by the Lowy Institute and the South China Morning Post. She is the recipient of IJP Asia-Pacific Premium Fellowship Award 2018 from IJP Centre in Germany, the first Hong Kong journalist to receive the award. She founded CJC in 2014 aiming to promote arts and culture among young people through journalism, criticism and storytelling. Previously she was a staff reporter for the South China Morning Post for a total of 15 years. Follow her website, Twitter and Instagram. Choi Sum is a slash. Upon the completion of her MA in Cultural Heritage Studies at University College London, she has contributed to a number of heritage and exhibition projects locally and abroad, including those organised by the HKSAR Government, The Hong Kong Jockey Club, the British Museum, UNESCO-HK, Art Basel in Hong Kong. Her publications can be seen on Museum International by ICOM. She is also a freelance illustrator contributing to HK01, Mingpao, the Grosvenor, and the University of Hong Kong. She just spent the past 300 days travelling around the world, reaching some of the most remote and pristine places including Antarctica. Cherry Leung is a second-year student studying Advertising Design at Technological and HigherEducationInstitute of Hong Kong (THEi). Her interests include film, music and photography. She enjoys telling stories through photo and design. As a design student, she seizes every opportunity to explore the world. Cindy Yuen is am a second-year student of Advertising at the Technological and Higher Education Institute of Hong Kong (THEi). She believes life is great inspiration for design and design aims to make our world a better place to live.